3-CD-Album DigiPac (8-plated) with 90-page booklet, 78 tracks. Playing time approx. 137 minutes. 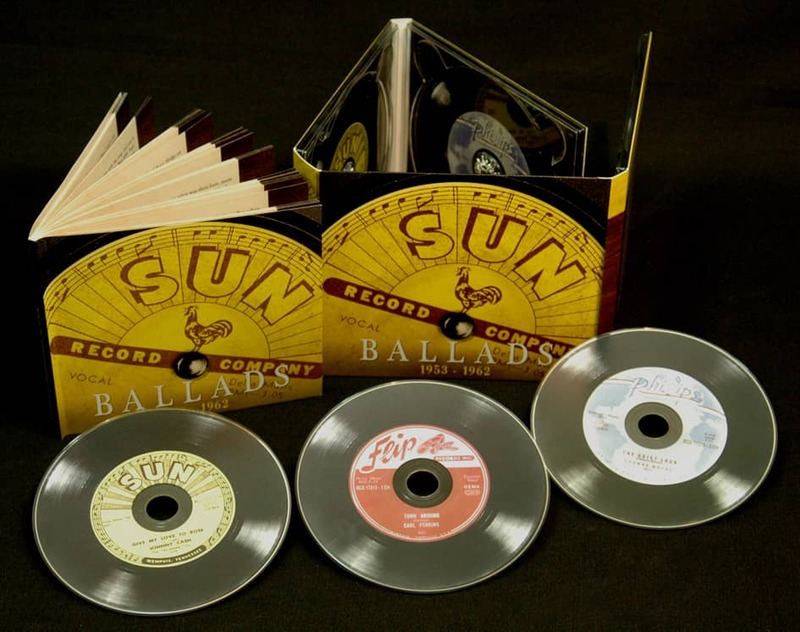 The first-ever in-depth look at the ballad side of the Sun Records legacy. Surveys a 10-year period from the earliest blues and hillbilly days to the Golden Age of rockabilly and into the early 1960s. Contains 78 tracks featuring Sun's best-known artists, as well as obscure & rarely reissued artists and titles. Contains in-depth historical material and detailed track-by-track commentaries. 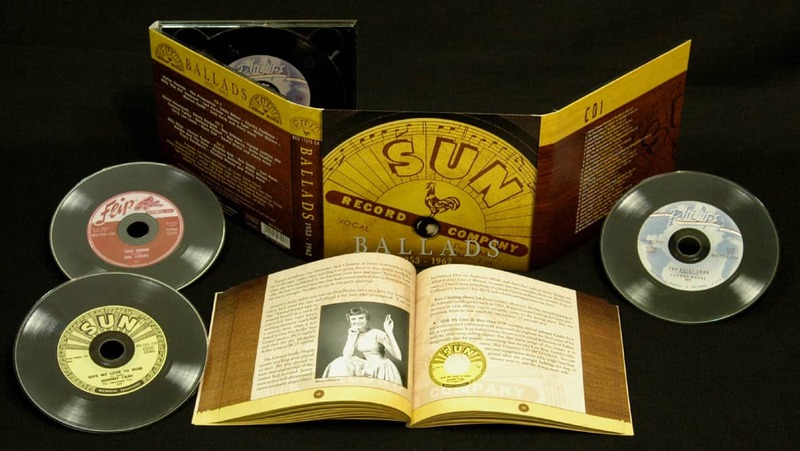 A must-have for all music historians, as well as die-hard Sun fans and collectors. Johnny Cash, Roy Orbison and Charlie Rich. Sun was also home to blues legends like Howlin' Wolf, B. B. King, Rufus Thomas, Jr. and Rosco Gordon. Label owner Sam Phillips truly did it all with his little Memphis label, and built a legend in the process. Although Sun is best known for rockers and rockin' music, it turns out that even rockers had their mellow moments. Sun managed to record a surprising number of them and built a very effective library of ballads as well. This side of Sun's legacy has never been examined in depth - until now. 'Sun Ballads' surveys a 10 year period of Sun's history from the earliest blues and hillbilly days to the Golden Era of rockabilly and beyond, into the early 1960s. This collection combines some of Sun's best known recording pioneers with a few truly obscure artists and rarely reissued titles; it contains a lavishly illustrated book with detailed track by track commentary by Sun historian Hank Davis. 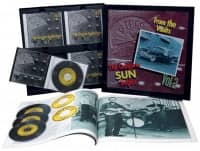 This 3-CD set is an unprecedented treasure trove for Sun fans and collectors. 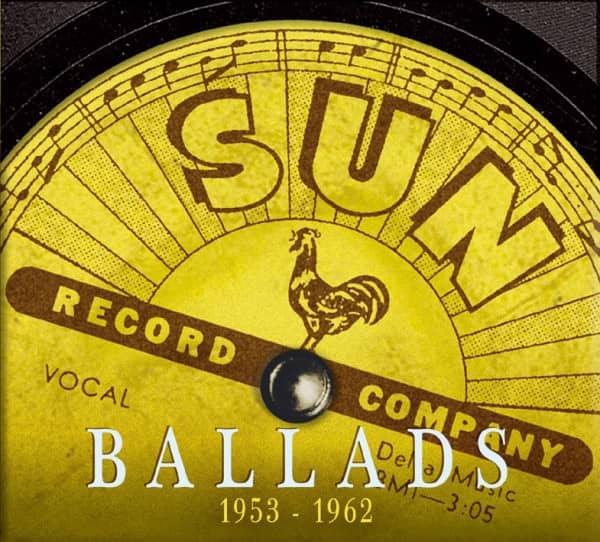 Customer evaluation for "Sun Ballads 1953-1962 (3-CD)"
15 How's My Ex Treating You? 21 Is It Too Late?